Paperless billing continues to be one of the key business case drivers for digital invoicing portals – and for good reason. It offers the potential to save millions in printing and postage, as well as eliminate a common source of customer discontent – the paper invoice. So what happens when you launch your portal and the paperless uptake is less than anticipated? It’s time to do some digging into your product, processes and people. Are the invoice views and export options within your invoicing portal sufficient for your customers’ monthly review and payment process? What automated notifications and digital delivery options are in place to make customers feel confident in their decision to go paperless? How many varying paperless options and supporting processes are at play today? Portal invoices, email only invoices, email + paper invoices? Which of these has been communicated (both internally and externally) as the preferred option? Once a customer selects paperless, what processes must occur to trigger that across all of the billing systems? Is there room for human error and how is that monitored? Are new customers automatically defaulted to paperless? 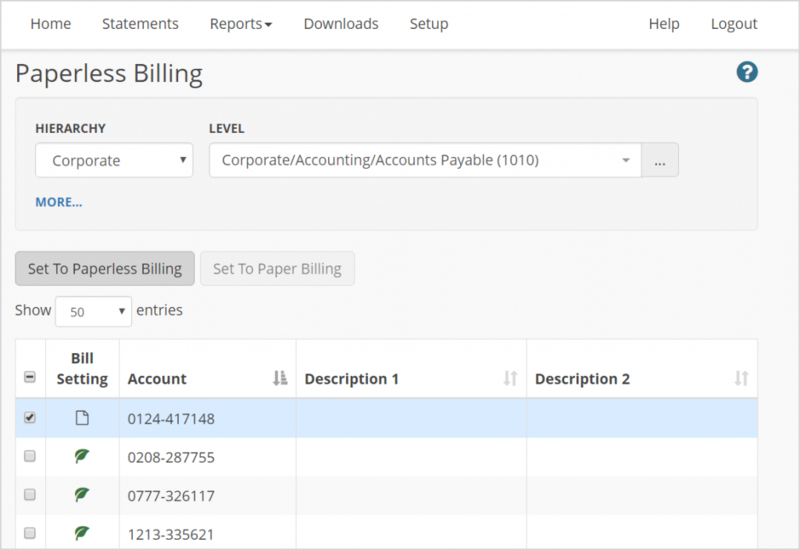 If customers can select paperless within the invoicing portal, can they also select to go back to paper? If so, how often does this happen and why? If manual, which team is responsible for entering emails and flagging for paperless in the back-end system? When was the last time they were provided training on the process? How active are sales and account teams in promoting paperless to existing customer base? How are customers being targeted? Broad brushed approach or looking at specific product/usage/account attributes (active credit card users, products with consistent recurring charges, companies with 100+ accounts, etc. )?